Quick, name one of the most iconic electronic devices of all times! Unless you’re well in your 60s and you answered “TV”, chances are your answer was “iPhone”; either way, you’re totally correct, as most families have at least one of each. Let’s focus on the second category: the iPhones and iPads; they are amongst the most popular smartphones and tablets developed by Apple, and you can’t really blame them – they’re great phones. Be that as it may, not everyone opts for an iPhone because of its high-tech features; some use it just for Gaming. What’s even more surprising is that, what used to be an activity specific to a male audience; now became quite popular among the opposite gender as well, girls being quite attracted to iPhone games. Here’s a list of the most popular games that usually have girl gamers spending a lot of time staring at their iPhones’ screens. Following is the Review of Top Six Best iOS Games Made for Girls / Women Gamer for iPhone, iPad and iPod Touch devices. 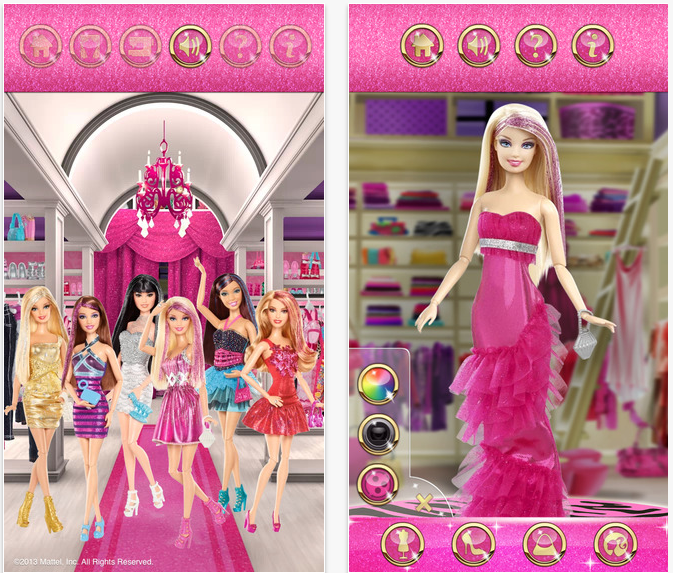 As its name suggests, this game targets girl gamers that opted to give up their Barbie dolls a tad too early, in favor of their iPhone, but cannot let go just yet. 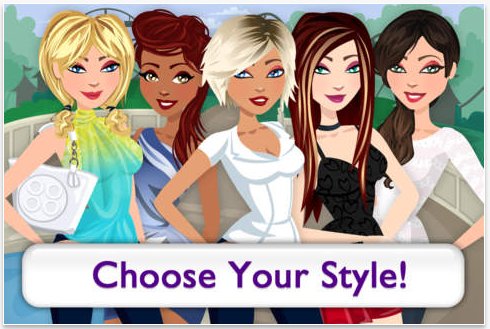 If you fall into this category, Barbie Fashionistas is the game for you, allowing you to create unique outfits for your Barbie dolls, dress them up and share your creations with your friends. 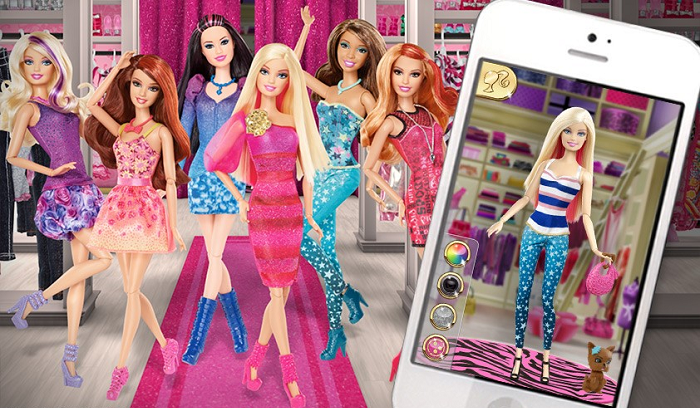 Sure, swiping up and down on an iPhone screen may not seem as captivating as playing with a real Barbie doll, but the game makes up by allowing for a greater use of imagination and an easier process of tailoring the perfect outfit. Fashion Story picks up where Barbie Fashionistas let off, taking things to a whole new level by placing you in charge of creating the perfect fashion store. Create the perfect store, decorate it, arrange the merchandise and prepare for the wave of customers that are eager to go on a shopping spree. The game is a great simulator, with simple controls and a captivating gameplay, which will put you on the other side of the shopping experience. If there’s one thing girls love more than shopping, that is makeup. 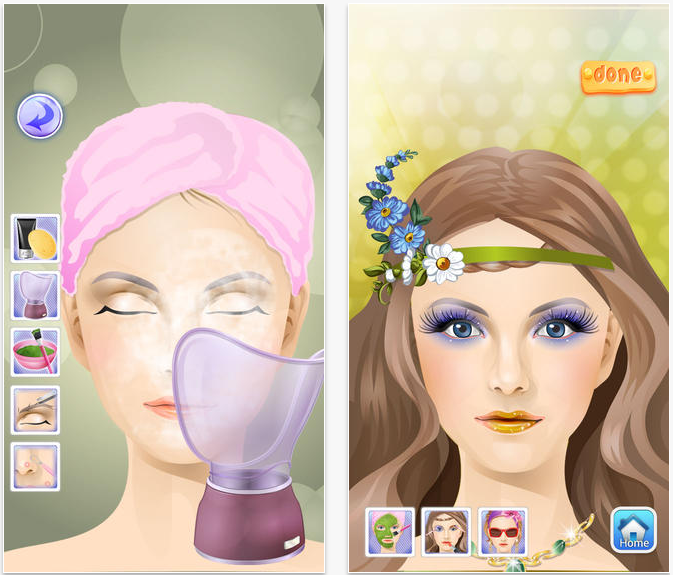 Fashion Makeup Salon puts those makeup skills to the test, allowing you to create makeup wonders. From a simple day-to-day makeup all the way up to a combination of a sophisticated hairstyles and an extravagant makeup, Fashion Makeup Salon puts you in charge of creating a breath-taking makeover. The question is: do you have what it takes? 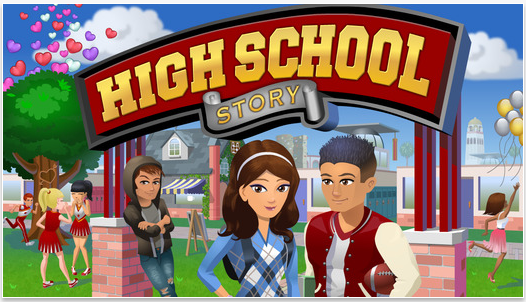 High School Story is a simulation game that lets you create the course in one of the most troublesome periods in a teenage girl’s life – high school. The game combines a bit of everything, from choosing outfits, up to taking quests, attending events and dealing with teenage crushes. The path to high school popularity is not an easy one, but it’s definitely worth the ride. High School Story allows you to live high school just the way you want it. If you’ve ever played Sims on a PC, Social Girl won’t be unfamiliar to you. The game is basically a sequel to High School Story, continuing the adventure beyond the high school period. Social Girl has a wider angle, though, allowing for more involvement. You get to customize more aspects of your character’s life, such as decorating the house, going on dates or partying in the clubs. It’s up to you to help your character be as successful and fulfilled as possible. Who said all iPhone games need to make you anti-social? Truth or Dare is exactly the opposite, being the perfect game to play with a group of friends. Sure, truth or dare is a game that can be played without an iPhone, but why not take advantage of technology to make things a bit more interesting? Chances are you ran out of ideas at some point when playing truth of dare – the iPhone version of the game makes sure that never happens again; whether you need an idea for a great dare or an uncomfortable (but funny!) question, Truth or Dare is guaranteed to deliver. Enjoy a lot of unique challenges, a wide selection of clever questions and guaranteed hours of fun with Truth or Dare. You can play more female oriented iOS Games on online gaming websites too. Download and Install Now ! !